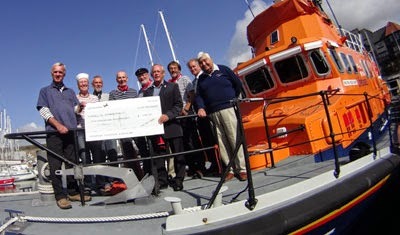 Plymouth Lifeboat was the venue for a cheque presentation last week. The sun shone in Millbay Marina as most of the Tavy Tars climbed aboard the Severn Class lifeboat, 'Sybil Mullen Glover' for a photo shoot. 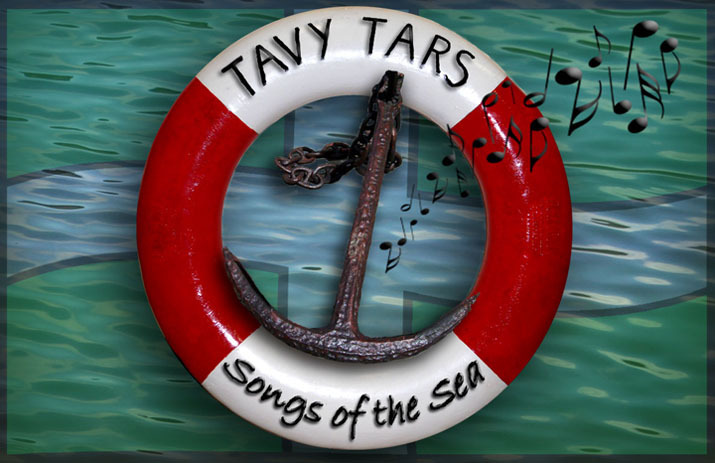 The Tars had previously arranged for 50% of the sales receipts for their latest CD, 'Take Me in Your Lifeboat' to be donated to the RNLI and also a proportion of fees received for greeting cruise ships in Plymouth. 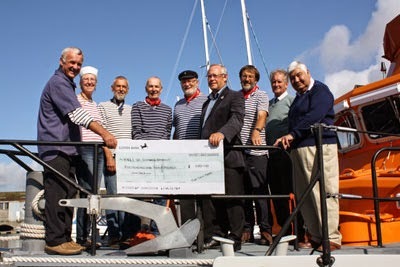 The cheque was for £530, which represented the donation for CDs so far, plus the cruise ship money. There is an RNLI press release about this presentation which can be viewed here. The Tars are proud supporters of the RNLI and would like to point out that they still have CDs available if you would like to join them in supporting the RNLI. The CDs can be obtained from any of the Tars, by email to this site, or through download at iTunes and Amazon! What are you waiting for?